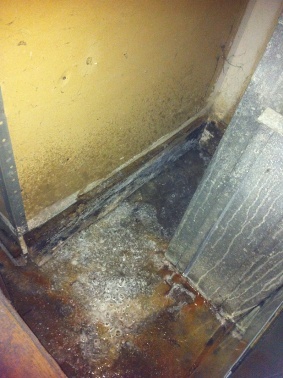 Don’t wait until you have a household mold problem to ask does homeowners insurance cover mold removal. Find out in advance if your insurance will cover a problem if one arises. Mold removal can be extremely costly, so you don’t want to find out too late that you’re not covered. Coverage really varies from policy to policy, so the only way to know for sure if your policy will cover mold removal is to read your policy carefully. Some insurance policies contain exclusions, specifically saying they will not cover mold removal. Some will cover mold removal only under certain circumstances. Some will pay for mold removal but not for mold testing, even though you may need to have your home tested for mold in order to find out if there is mold there that needs to be removed. Some will pay only a limited amount for mold removal, even if the actual mold removal process costs more. In some cases, you can pay extra to have insurance for mold remediation. Contact your insurance agent if you have any questions about your policy. If your policy doesn’t currently cover mold removal, find out if you can add that coverage to your policy. It could save you thousands of dollars down the road. In many cases, homeowners insurance mold coverage depends on the cause of the mold problem. Many different things can lead to the growth of mold in the home. If mold results due to a sudden and accidental issue, like a burst pipe, which is covered, insurance is more likely to cover mold removal than if the mold is a result of neglected home maintenance. Homeowners insurance usually covers fire damage. Unfortunately sometimes the water used to put out a fire can lead to later mold problems. If mold results from a fire that is covered by your homeowners insurance, your insurance policy will probably cover the mold removal, as well. 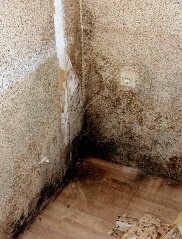 Mold is a common occurrence after a home has been flooded. Homeowners insurance often does not cover flooding, unless you specifically purchase flood insurance. If your insurance policy does not cover flooding, it probably will not cover mold that results from flooding. It may, however, cover mold following a flood if you have flood insurance. If you live in an area prone to flooding, this is definitely something you should look into. Homeowners insurance usually won’t pay for water damage that results from a leaky roof, and most policies won’t cover mold damage that results from a leaky roof, either. However, if something happens like a tree limb falls and crashes through your roof, leaving a hole in the middle of a rain storm, that damage usually will be covered by homeowners insurance. In that case, your insurance policy might also cover any resulting mold damage. Homeowners insurance does not usually cover water damage due to something like a leaky pipe. If your insurance policy doesn’t cover the damage due to the leaky pipe, it probably will not cover a mold problem caused by leaky pipe, either. Some insurance policies will pay for damage resulting from a burst pipe, though, and in that case, they may cover a mold problem resulting from that burst pipe, as well. If you’ve got a mold problem and hope to get your insurance to cover the cost, you’ll need to start by having a consultation with a mold removal professional. Mold removal professionals will provide a free inspection and write up an estimate that explains the scope of the problem, the work needed, and the estimated cost that you can give to your insurance company. They may also find "hidden mold" that you weren't even aware of. Follow this link to find mold removal professionals near you.